There is no better way to start or end your yacht charter in Costa Rica than with a stay at one of its high end resorts, or during your vacation why not get the captain to drop anchor for you to book yourself into one of the amazing spas that are available on the peninsular. Once again, Francesca Poddie uncovers Costa Ricas luxurious side. The Four Seasons Resort Costa Rica at Peninsula Papagayo lies between Playa Blanca and Playa Virador, boasting as the first hotel of its kind in Costa Rica and the premier Four Seasons throughout Central America. The hotel boasts 153 indoor/outdoor guest rooms and suites, an award-winning spa inspired by the Pacific. Beautiful blue pools sheltered by jungle palms and of course the beach that is caressed by the Pacific Ocean on one side and bordered by the lush green hillsides to the rear. SPA: The Spa at the Four Seasons offers an oasis of tranquility, all treatments have been inspired by the Pacific and local traditions. It has 18 therapy rooms, and offers a wide variety of treatments. Located near the Arenal Volcano, Arenal Nayara Hotel & Gardens is a great option for a traditional Costa Rican luxury boutique hotel. This hotel offers guests the chance to get up close and personal with nature. Each of the 50 spacious casitas (bungalows) is surrounded by lush tropical rainforest and offers its own secluded garden, outdoor shower, intimate Jacuzzi and balcony offering views over to the volcano. SPA: This spa is perched above the tropical rain forest and offers traditional Costa Rican treatments ranging from coffee scrubs to volcanic mud wraps. 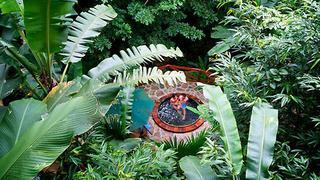 Its location means that during the treatments, guests are treated to the sounds of the jungle to relax in. A luxury boutique hotel in Costa Ricas Pacific coast, Florblanca is located on the pristine beaches of the Nicoya Peninsula, overlooking the surf of Playa Santa Teresa. At Florblanca, the emphasis is on working with the local surroundings and here you can expect the hotels chef to cook up delights made from the hotels organic garden. The hotels staff is dedicated to your holistic wellbeing and satisfaction, with daily yoga classes available. The best part of this hotel is the beachfront location and the single standing villas offer a great open-air layout. SPA: This spa is a unique space in all of Central America, suspended over peaceful waterfall-filled pools, and shaded by natural flora, Spa Bambu is the ideal spot for some relaxation and escapism. 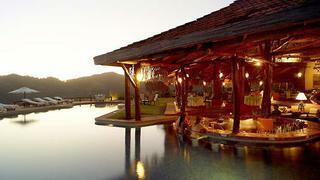 Hotel Punta Islita has a privileged location along the ?sunny Nicoya Peninsula in Costa Ricas Guanacaste?Province. The tiered layout offers a panorama of Islita Beach and the namesake islet that separates during high tide. The best part of this hotel is the breathtaking infinity-edge freshwater pool that overlooks all of Islita Beach. 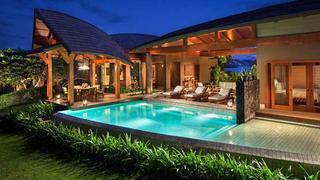 The palapa style of villas really give a local and authentic feel to the whole resort. Everything about the operation is sustainable but luxury is never sacrificed. 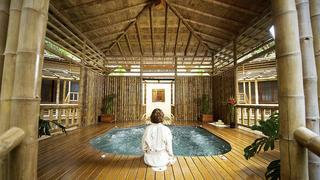 SPA: Embedded in lush tropical gardens, Hotel Punta Islitas Casa Spa is the hearth of pampered wellness and relaxation. From the moment you are greeted with a soothing cup of just-brewed herbal tea, you will feel the warm glow of its homelike ambiance. Casa Spa is a unique haven for holistic wellness. Beauty rituals, Costa Rican traditional healing arts, and local herbalist wisdom are artfully combined to gently relieve modern stress.